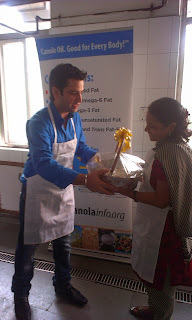 I was shortlisted for 'Cook-off with Kunar Kapur' event by BlogAdda.com at Banarsidas Chandiwala Institute of Hotel Management, Kalkaji. I reached the venue on time. I knew that all participants will be asked to cook something, I was a bit nervous as I had never done cooking before. I was the first one to arrive. 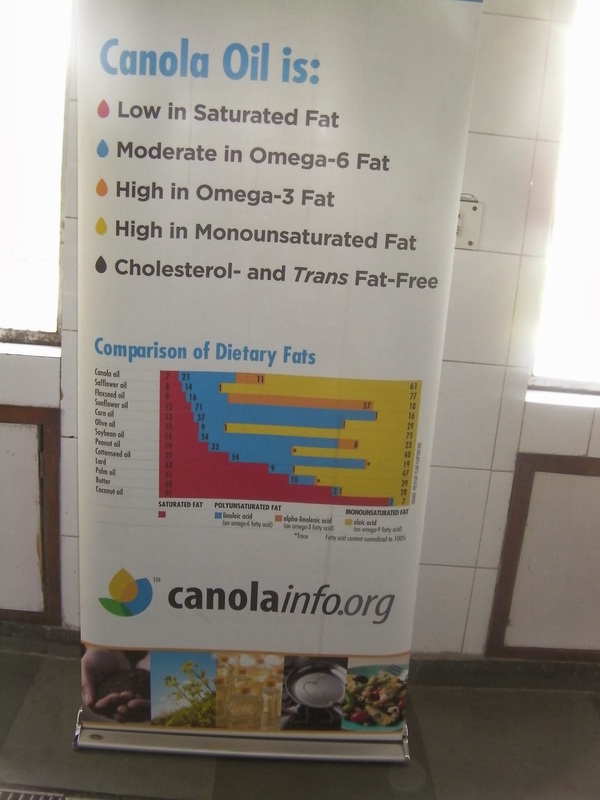 After a couple of minutes another participant Amita ji came Canola Oil had a facebook contest and she was one of the winners. After her came Ragini and then finally Ms. Deeba Rajpal. There were total 10 participants. 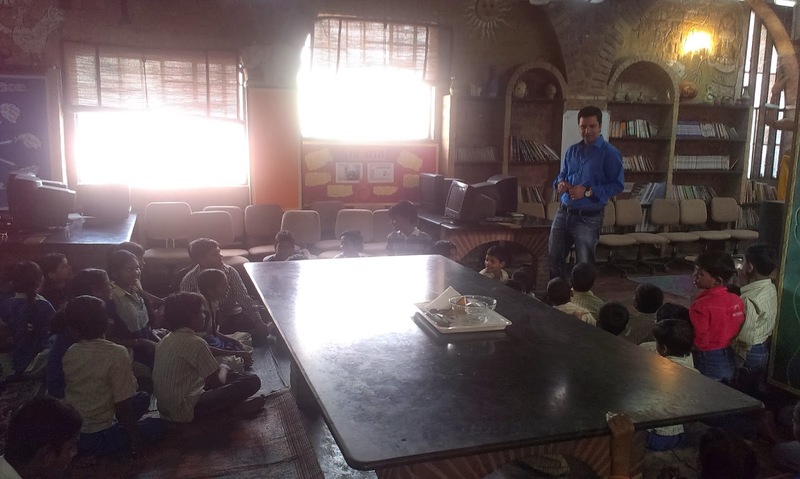 We started with a brief introduction with Master Chef Kunal Kapur. Then we were told to prepare Moong Dal Halwa thank god we were given the recipes. We all started and were given 40 minutes to complete the activity. We were told that all the Halwa which we will prepare will be going to an NGO called Katha We used Canola Oil in our recipe. Master Chef Kunal Kapur helped everyone in the activity and a twist was added to it when we were told to add a Fruit to the Halwa. Somehow, I managed to prepare the Halwa. After, everybody was finished with the preparation Chef tasted all the preparations and had to choose one winner from among us. I was happy when he told the winner is either me or Ms. Deeba Rajpal. The winner of the activity was Ms. Deeba Rajpal. 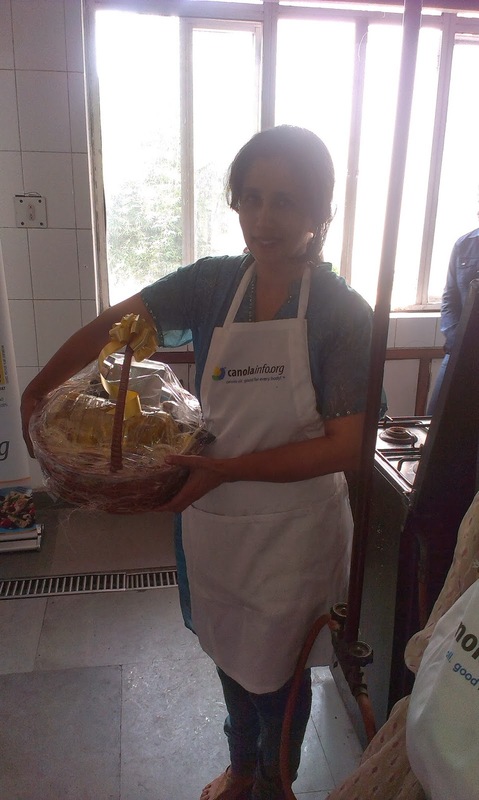 They gave Canola Oil hampers to the facebook winner Amita ji and Deeba. 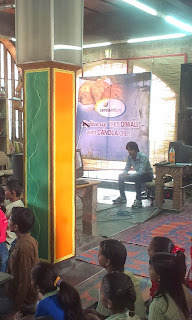 We all participants were also given participation hampers from Canola Oil. 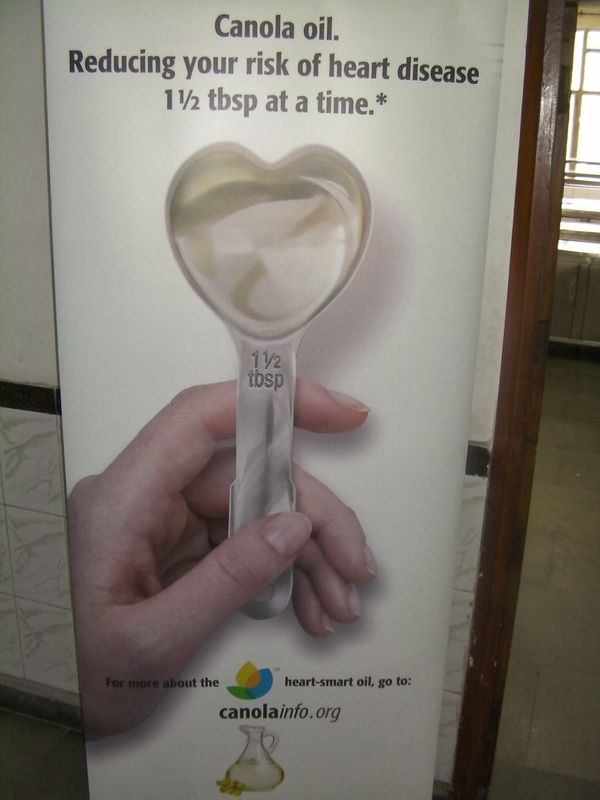 'Canola Oil is high in monounsaturated fat and has a high smoke point of 242 degrees'. The normal cooking at our home is around 180 degrees. We prepared Suji and Moong Dal Mixture and Sugar Syrup differently. Chef told that we can keep the mixture of Suji and Moong Dal for around a month in refrigerator and then depending on the amount we need we can take it out and add Sugar Syrup to it that's WOW. We all never felt it was a competition. It was a nice cause for which we all prepared the Halwa. 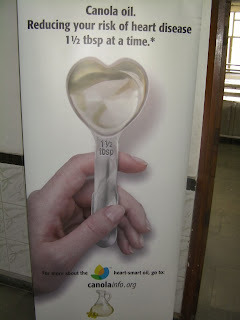 Then we all went to the NGO 'Katha' where this Halwa was given. 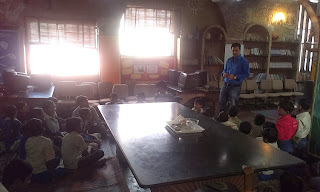 We all had a good time at the NGO meeting little children's how talented they are. 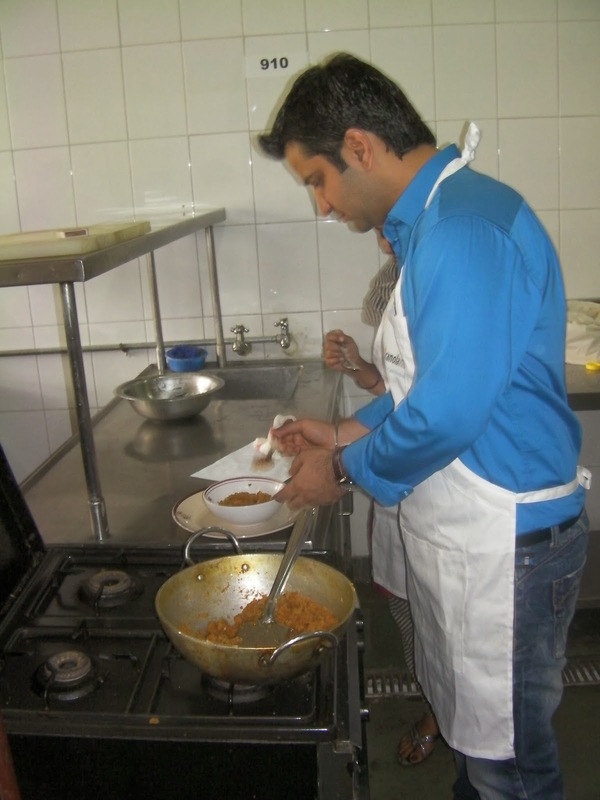 Overall, it was an amazing experience cooking Moong Dal Halwa with Master Chef Kunal Kapur. My wife is waiting when I will prepare it at home. 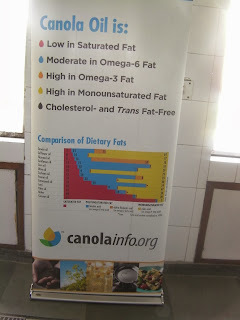 Thanks BlogAdda.com for this wonderful event in association with Canola Oil.